NTT Inc. - NFPA 72 Inspection Requirements: What are They? NFPA 72 Inspection Requirements: What are They? The National Fire Protection Association is a United States and international trade association responsible for the creation and maintenance of copyrighted, private codes and standards for adoption and implementation by local governments. A group of insurance companies formed the association in 1896 to help keep workers and businesses safe with codes like the NFPA 72. For the purposes of NFPA 72, fire alarm systems include those installed in households and in protected premises, supervising stations, and public emergency alarm reporting systems. If a hospital, school, shopping mall, office building, or commercial premises have a fire alarm system, it falls within the remit of NFPA 72. Wherever the system is located, the owner is responsible for inspecting, testing, maintaining, and performing necessary alterations. While the owner is responsible, if they are not in residence, they may delegate the responsibility, in writing, to a qualified occupant or managing individual/firm. A delegate could be a plant or facility maintenance technician or the building’s manager/superintendent. Electricians, engineers, safety directors, and fire alarm technicians/contractors may also be called upon to perform these tasks in lieu of the owner of the fire alarm system. What are some of the inspection requirements for the NFPA 72? 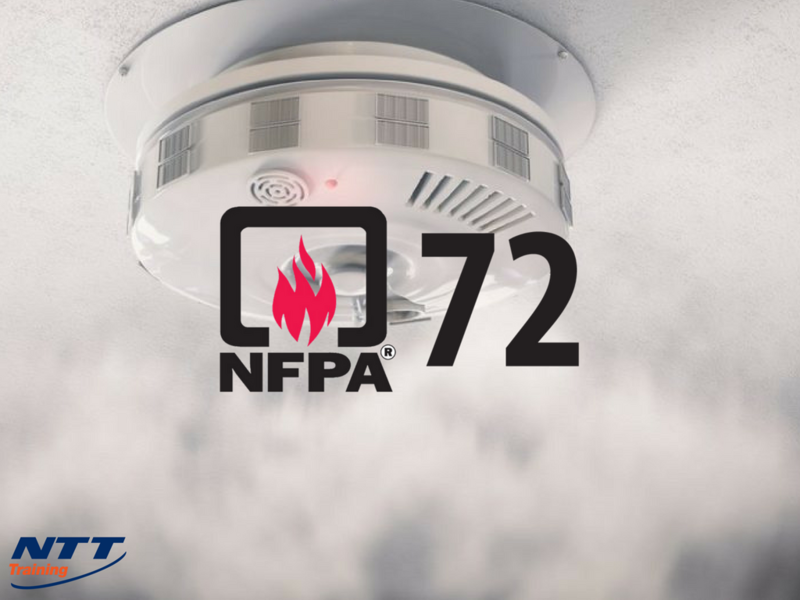 NFPA 72 also contains the standards for inspecting, testing, and maintaining fire alarm systems. It is common knowledge, not to mention common sense, that fire alarm systems that are routinely maintained and tested are more reliable than those that are not. Why is safety training important to getting it right? While the need for NFPA 72 inspections is common knowledge, the details of the requirements are not, and have to be taught by experienced, knowledgeable professionals who are capable of translating the turgid legalese into language we can all understand. Not only that, but the law is continually evolving in response to emergencies and changes in public priorities. Know which codes apply to fire alarm and detection systems. Understand the relationship between fire alarm system requirements and building occupancy requirements. Know the installation requirements for detectors and where they should and should not be used. Understand common errors and how to avoid them. This course is packed with relevant information. Students will be presented with information on fire warning systems for dwelling units, supervising stations, and protected premises. They will be learn about initiating devices, choosing the right device for the right location, notification appliances, inspection, testing, and maintenance, and the relevancy of the fire alarm and signaling codes. The fun part is the hands-on lab exercises on battery supply calculations, sizing strobes in various room sizes, wiring and testing systems, smoke detector sensitivity tests, visual and functional tests, and so much more. If this sounds great for your workplace and you believe everyone in your business would benefit from a course such as this one, why not contact NTT for more information about NFPA 72: National Fire Alarm & Signaling Code®.